A ngela Chao serves on the Boards of Harvard Business School’s Board of Dean’s Advisors, the Museum of Modern Art PS1, The Metropolitan Opera, The Chairman’s Council of the Metropolitan Museum of Art, Carnegie-Tsinghua Center for Global Policy Board of Advisors, the Shanghai Mulan Education Foundation, the Ruth Mulan Chu Chao Foundation and The Foremost Foundation. 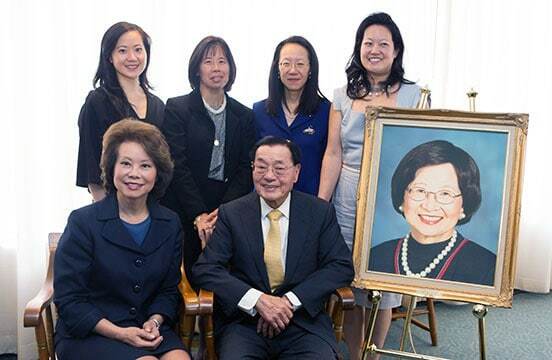 She is also the Honorary Chairperson of the Chiao-Tung University Alumni Association in America. She speaks Mandarin Chinese and is active in many volunteer activities. Angela lives in New York City and is an ardent supporter of the arts and the opera.